Switzerland or Germany: which country is more expensive? 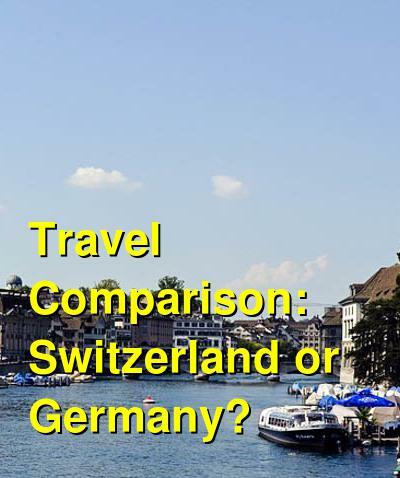 This comparison of travel costs between Germany and Switzerland examines average prices across multiple categories. Please visit each country's individual budget page for more detailed information. Local Transportation	Taxis, local buses, subway, etc. Entertainment	Entrance tickets, shows, etc. Should you visit Switzerland or Germany? Both Germany and Switzerland have fascinating cultures, delicious food, and impressive scenery. Switzerland is significantly more expensive than Germany, and some people say it is one of the most expensive countries in Europe. For many, Switzerland is worth the high price tag. The scenery is dramatic and beautiful, the mountain towns are charming, and the winter sports are thrilling. But if you're a budget conscious traveler, then Germany has a lot to offer visitors as well. Although the scenery is not quite as dramatic as Switzerland, it is more diverse in Germany. Germany is also a very efficient country to visit. Trains and buses are reliable and run like clockwork. The cities are very clean and modern and the facilities are comfortable. Switzerland is also modern, clean and comfortable, but it does come with a higher price tag. When is the best time to visit Switzerland and Germany? Deciding when to visit Switzerland really depends on what you hope to do there. The winter months are most popular for skiing and other winter sports. March and April is when most of the ski resorts close for the season, so this is a low season in the area. As the spring progresses, more hiking trails will become accessible and by June most trails are great for hiking. July and August is the summer high season when hiking and biking are most popular. By October the weather is getting cooler but it's still too warm for skiing, so this is a low season. December is popular because of the charming Christmas atmosphere and by late December ski resorts are starting to open up. Germany is a popular year around destination. It stays cooler than southern Europe during the summer months and there are a variety of festivals in late summer and early fall. Christmas is also a popular time to visit as many towns have a lot of charm and character. Why is Switzerland more expensive than Germany? Almost everything, from food to accommodation is more expensive in Switzerland. Switzerland is on the Swiss Franc, which is a strong currency. Salaries also tend to be a bit higher in Switzerland than Germany, which can drive up the cost of eating out or other basic services. As a tourist, the activities you might do in Switzerland also tend to be more expensive than in Germany. Everything from ski resorts to museums and restaurants come with a hefty price tag. For many, Switzerland is definitely worth the cost, but if you're not prepared to pay for it, you may miss out on a lot of what Switzerland has to offer. What are the most expensive and cheapest cities and regions in Switzerland and Germany? In Germany, cities like Berlin can be a bit more expensive than the countryside. In some cases though, there may only be one hostel and a few small hotels in a town. This lack of competition may drive prices up and you could end up spending more money than you anticipated. In Switzerland, it's hard to see a dramatic difference in price between smaller towns and larger cities. Ultimately, how much you spend depends on what activities you plan to do and when you visit. 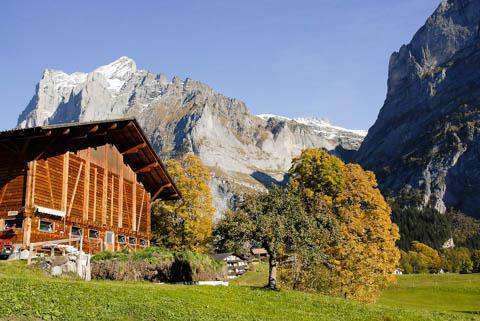 Prices are slightly less during the low seasons in Switzerland. Winter sports are also particularly expensive, so be prepared to pay a premium to stay at a ski resort. How you can save money when visiting Switzerland and Germany? In Switzerland, activities like winter sports will likely be a large part of your budget. Research deals and see how you might get the best price before you make reservations. Germany is a large country, so if you're budget is tight, choose just a few places to visit and stay longer in each location. This will cut down dramatically on transportation costs. Find a place to stay with a kitchen. Eating out, wherever you are, can be expensive so having access to a kitchen will help you keep your food costs in check.